Having written my dream announcements list for the PlayStation 4’s keynote at E3, I thought that it would only be fair to give Microsoft’s new console equal time with their own list of dream announcements for the Xbox One. Now, I’m not an Xbox guy. I’ve never owned either of the Xbox consoles but at one point considered getting the Xbone before the official unveil. However, that unveiling had nothing that appealed to me. So for my dream announcements for the X1, I’ll try to balance between dream announcements for those firmly in Xbox’s camp and those still not sold in the Xbox One. 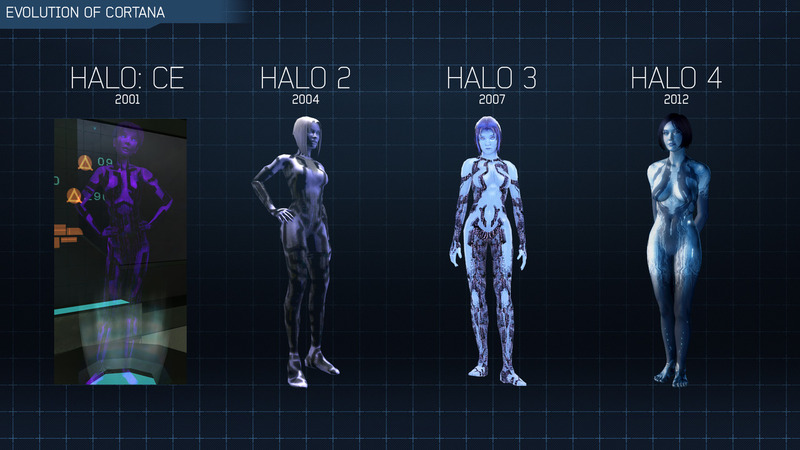 I’ve seen a few mock-up designs for a Halo 2 tenth anniversary special edition to be released in HD for the Xbox 360. I thought Microsoft would be smart to go one step further than this with Halo re-releases. Since Microsoft came out and said that the Xbox One can play games at 4K resolution while the PS4 is only claiming video output other than games at 4K, why not put your money where your mouth is. I think Microsoft should make a big deal about 4K games by releasing everything Halo at 4K. This will be fairly easy for Halo 5 and Halo 6 which are coming out as XB1 exclusives. The other four games will have to be overhauled to get them looking sharp at 4K. While we’re at it, Microsoft and 343 should give the once over to ODST and Halo Wars. Then throw all eight games into a collector’s edition box set when Halo 6 comes out and sell it for, say, $350. Buying each game individually at $60 a pop would be $480 so it’ll make you look good from a financial perspective too. Similar to Blizzard’s strategic relationship with Sony and PlayStation, EA claims to have a special relationship with Microsoft and Xbox. Since I suggested that Blizzard bring some of its games from PC to PS4, I think EA should bring some of its PC exclusives to the XB1 with SimCity as the flagship of those ports. When you think about it, SimCity could work on the Xbox One. After all, the original SimCity was ported to the SNES so a more powerful machine shouldn’t have any trouble handling a modern SimCity game. The thumbstick controllers and Kinect motion and voice controls can help out with any potential issues with controlling the game. That and both the Xbone and SimCity were built to be always-online. It’s a match made in heaven. The cult hit Steel Battalion really made a splash with the massive controller that came with it. It made sense to construct a massive controller to make a giant mech combat sim. With all the different things you could do with your mech, you needed that controller. That was until Microsoft decided that Steel Battalion would be the Kinect game for the core gamer. The result was Steel Battalion: Heavy Armor being decried as one of the worst games ever made because of how impossible it was to play thanks to the Kinect. Now that Microsoft is basically promising that everything has been fixed with the Kinect 2.0 from its speed in reading your actions to an increased ability to see what you’re doing. If that’s the case, Microsoft should swallow its pride and make amends to the people behind Steel Battalion by letting them have another go at it without Microsoft’s interference killing the franchise. 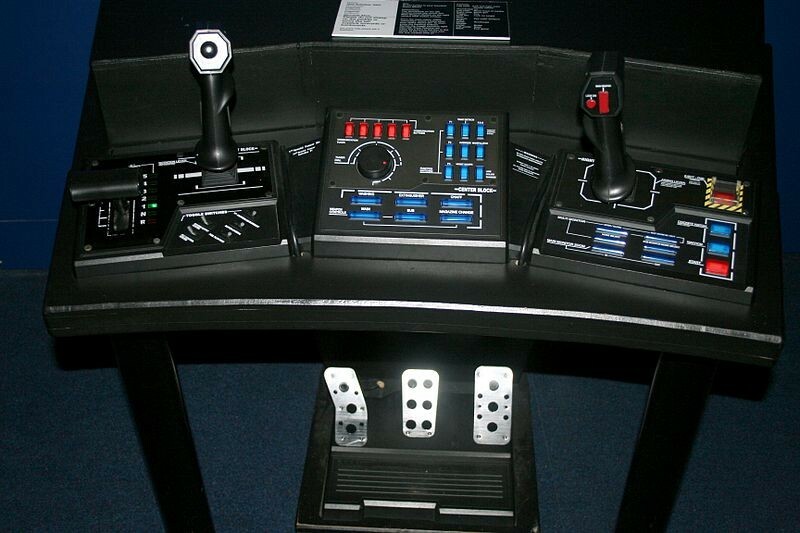 A new Steel Battalion should be able to be controlled by either the massive controller (I doubt that the original one would be compatible with the XB1) or the Kinect. If the Kinect works as well as Microsoft claims (which we won’t know until we actually see it in action), all the Kinect problems with Steel Battalion: Heavy Armor won’t be issues this time out. Still, the controller should still be an option so the game is playable just in case we have the same old Kinect fun with 2.0. 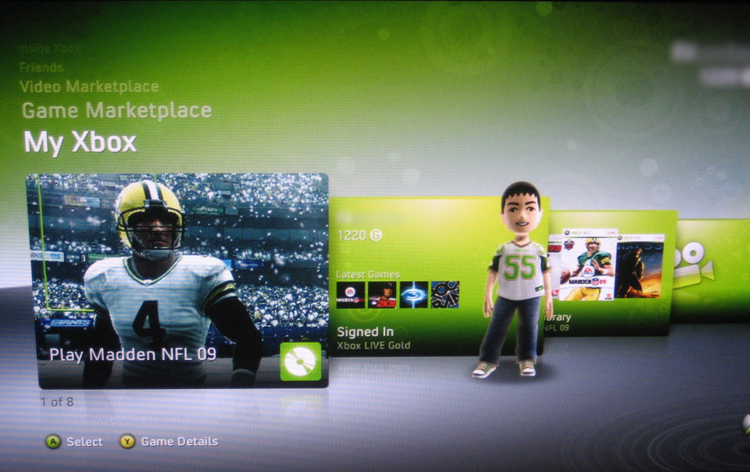 When the Xbox 360 launched, the one thing more than any that always caused me to pause in considering the Xbox was having to subscribe to Xbox Live Gold if I wanted to play online. I don’t game online a lot (as review readers can attest to) but it’s nice to have the option there. Paying the equivalent of one game per year just to play online is just ludicrous though. While I’m sure that Xbox Live Gold is a massive money-maker for Microsoft, I think that they need to get with the times and allow online gaming to be available to anyone with a console. So I think Microsoft has to make the current Xbox Live Gold the basic level of service. Everyone gets to access games online and is able to use all the apps currently available to Gold members. To replace the revenue from the current iteration Xbox Live Gold, the premium service becomes Microsoft’s equivalent to PlayStation Plus. Given the lack of backwards compatibility of the XB1, the feature won’t be as good as PS Plus off the bat but priority in server queues and XP bonuses for online games would be a good stop-gap measure. As time goes on, I’m sure plenty of people would be happy about getting free games and big discounts. I had a whole section written about how Microsoft can erase all their PR screw-ups by doing an about-face on the always-connected Kinect and online check-in DRM and banning or severely disrupting the used games market. However, Microsoft issued a press release yesterday saying that you’d have to check-in online daily, whether your console is on or not, and you have to be connected via broadband internet. The Kinect is still required to connected to the console at all times but it apparently can be turned off. The problem is that we don’t know how deep in the settings those will be. At least Microsoft isn’t outright banning used games. They’ll leave it up to the publishers. That’s the same publishers who have been trying to crush the used games market for years. Basically, Microsoft is trying to wash its hands of any blame for any used games issues. It makes sense that Microsoft would issue this press release now. Since they’re going for the casual market rather than the core gamer, this release won’t be news when the mainstream media covers E3. They’re likely to only mention what’s in the actual presentation. As a result, Microsoft might get away with all this DRM BS with the very casual observer. I’m going to gather my faults and write up a column for Monday but I think that Microsoft’s new strategy might hurt them sooner rather than later. Posted on June 7, 2013, in Games, Long Read and tagged E3, E3 2013, Microsoft, Xbox One. Bookmark the permalink. 3 Comments. What would people do if a console banned used games? A UK judge recently ruled people can actually sell off their used ebooks–ebooks with no physical presence, mind you–so it seems pretty dickish to ban used games altogether. Top it off with the fact that most new games aren’t even worth the $60 they charge and I don’t think I’d buy a next gen console, any next gen console, that limited the ways I could use their product. I think we almost got a taste of it when that Wired article came out around the Xbox One announcement that hypothesized that the XB1 had the ability to prevent used games sales. The long-term/core gamers threatened to abandon ship, even folks who’ve been with Microsoft since the Xbox 1… the first one. And I’ll be interested to see how local laws play into used games sales given the 30 days on your friends list restrictions. We saw local laws concerning refunds pop up when Aliens: Colonial Marines launch. I would imagine that if someone was to challenge Microsoft’s policies, UK digital sales law would supersede what MS says. I’m really waiting on what Sony has to say over the next few days. If they maintain the status quo, they should have too much trouble taking everyone’s money. However, their policies on used games and the like could push me from buying a PS4 to spending that money on a new graphics card instead. If that Ouya thing takes off, these developers better watch their butts… No more ‘gatekeepers to gaming’ in the big 3. I’m all for seeing a digital user content revolution with videogames just like with ebooks.